Minneapolis / St. Paul – Ee-Jay Motor Transports, Inc.
Ee-Jay is set on the Minneaplis/St. Paul borderline in St. Paul, MN. Rail track storage for over 115 jumbo railcars. 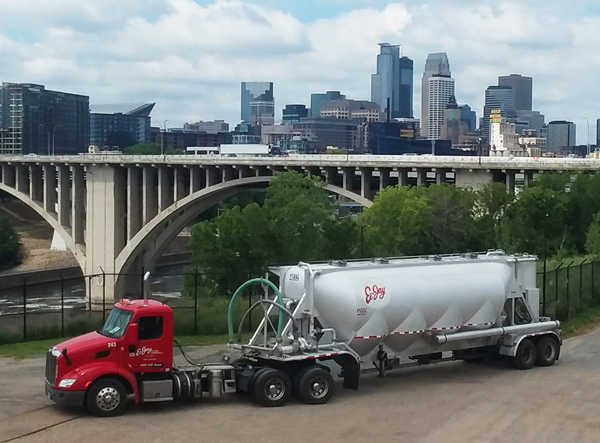 Making our Minneapolis / St. Paul facility the largest and most experienced bulk plastic resin handler in the Central Midwest area. Neighboring warehouse facility for customer storage, transferring or packaging to/from bulk tanks, railcars and/or Gaylord boxes.